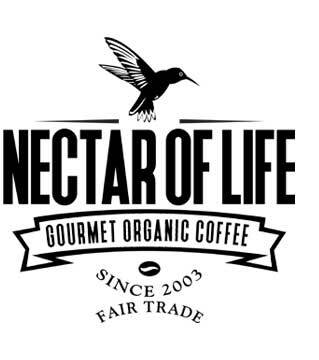 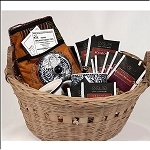 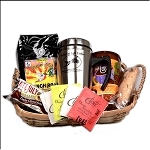 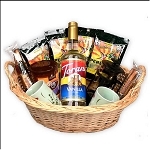 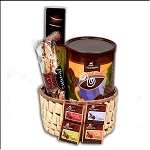 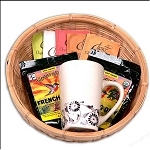 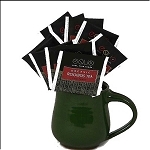 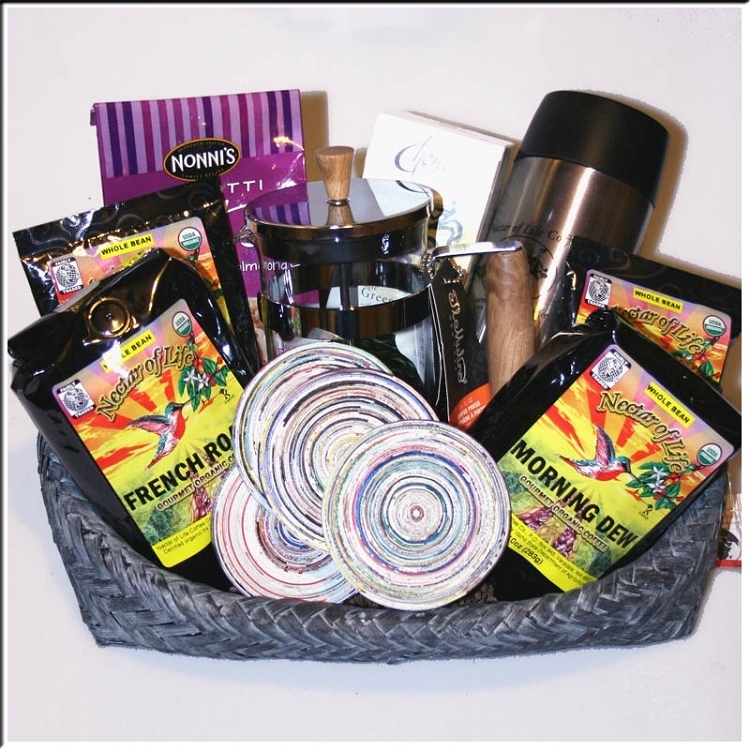 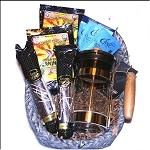 This is a very large beautiful Fair Trade basket filled with gourmet coffee, cookies and more. 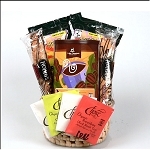 We will enclose a gift card with your personal message. 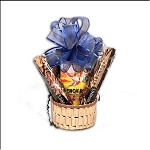 Note: The basket will come wrapped in decorative cellophane and will have a bow on top. 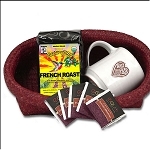 The travel mug is stainless steel inside and out, and the basket itself is Fair Trade.